LONDON, 30TH JUNE, 2011: On what would have been Diana, Princess of Wales’ 50th birthday on Friday 1st July, the filmmakers behind the controversial Cannes break-out documentary, UNLAWFUL KILLING, are announcing strong post-festival sales with the unveiling of a powerful new trailer. The one minute 30-second edit sets out to discredit many of the misconceptions that have surrounded the film prior to and since its screening at the Cannes Film Festival. The film made its Industry debut at the world’s most famous film festival in May, but was hitting the headlines internationally well before the film had even been screened. Acclaimed British actor and filmmaker Keith Allen (ROBIN HOOD, SHALLOW GRAVE, TRAINSPOTTING, THE COMIC STRIP PRESENTS…..) is behind the film, dubbed “The Inquest of The Inquest” into the deaths of Diana, Princess of Wales and Dodi Fayed. 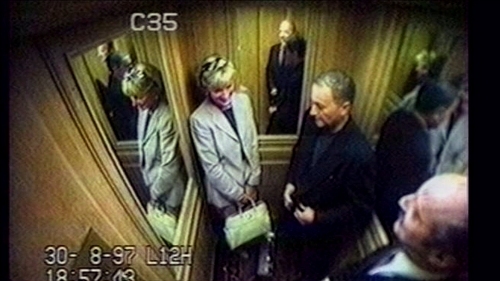 The film mixes candid interviews with recreations of some of the key moments from the inquest, shockingly not held until a decade after the accident. The questions the film asks, as it seeks to uncover the truth about the world’s most famous car crash, shakes perceptions of how Diana and her partner Dodi died and where responsibility ultimately lies for this apparent Establishment cover-up. UNLAWFUL KILLING has experienced a flurry of sales since its Cannes debut, as reported last week in film trade The Hollywood Reporter. Locomotive Distribution has so far secured deals in 10 territories, including Russia, Spain and Benelux (Belgium, the Netherlands, Luxembourg) and has seen strong interest from the US, Japan, Italy and Australia. It was also announced recently that UNLAWFUL KILLING will receive its World Premiere screening in Ireland, at the Galway Film Fleadh on Wednesday July 6th at 7pm. This event will mark the first public screening of UNLAWFUL KILLING anywhere in the world and dramatically highlights the fact that UK audiences will not be afforded such an opportunity - owing to the film’s contentious content, UNLAWFUL KILLING will likely never be granted a release in Great Britain.